Any asset manager, hedge fund or investment advisor managing a fixed income portfolio knows that they have to get performance right from day one. Accuracy is an imperative in performance calculations. Even the smallest error can distort results—maybe by one or two basis points at first, but over time these tiny discrepancies can grow in magnitude and can present a false picture of performance to clients. The biggest consequence of performance errors is a loss in confidence in your capability to be a trusted advisor. Restating performance can pose an ominous sign for investors, indicating the possibility of firm-wide negligence or slack standards for basic operating procedures. Among institutional investors, these errors are a no-go—a quick way for them to remove a firm from their preferred provider list or toss out their response to an RFP. Even as technology has continued to advance, many managers still rely on manual processes or inputs for calculating performance. The addition of more automated procedures and the reduction of manual entry can help minimize the occurrence of human error and improve the quality of the performance reported to investors. These errors are not intentional or due to negligence. The vast majority of investment firms are staffed with well-qualified and highly intelligent people, especially among the CFAs and other certified professionals who are often responsible for a firm’s performance calculations. But as smart and skilled as these professionals are, they are human too. A CFA charter holder can be as prone as anyone to “fat finger” errors when entering data, among other possible fallibilities. 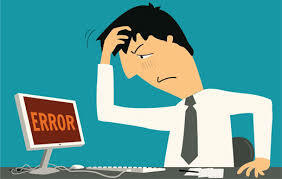 David Spaulding, CEO of The Spaulding Group, has seen these types of errors all too often. “One manager had calculated all negative numbers as positive, because the formula was scripted to use absolute numbers.” An honest mistake, but a critical one nevertheless. “The garbage-in-garbage-out rule still applies,” Spaulding noted. One common source of errors occurs when a manager uses a scripted procedure or spreadsheet to calculate performance, but some part of the process remains manual. For instance, gathering benchmark index returns can often be a copy-and-paste step from an online database. It’s entirely possible that these numbers are sorted differently when used in a performance comparison, or one day of returns is mistakenly excluded from the dataset. Whatever the case, the potential for human error exists when a manual step is part of the process. Investment managers and advisors should look to automate as much of their performance calculation procedure as possible. Reducing the number of human-dependent inputs in a process can help improve the accuracy of the end result. On the other side, it’s possible for a manager to place too much faith in the scripted procedures used to calculate performance. This faith can be misplaced if the advisor doesn’t apply proper scrutiny to the results these scripts provide. A program is only as accurate as the programmer writing it. It’s a mistake to assume a computer is absolutely correct, without taking a hard look at the output. That’s why thorough and robust validation is a necessary part of any performance calculation process. Top-down or bottom-up is a question that every firm should be asking about their performance calculations process. Which direction provides the most value and delivers the most accurate results? Top-down calculations run through all accounts in a portfolio or strategy first. 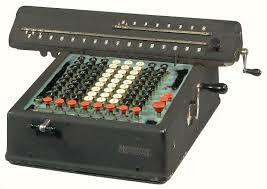 This helps ensure all performance is captured in the return calculation. But there’s also the potential that errors at the security level could go undetected. For example, errors may occur in how two securities are priced—one to the upside, the other to the downside. In a top-down calculation, each error will cancel out the other, so the net effect would be zero in the composite. But the errors at the security level would persist; at least until a bottom-up performance audit is conducted. Bottom-up calculations starting at the security level are recommended as a best practice to promote accuracy. 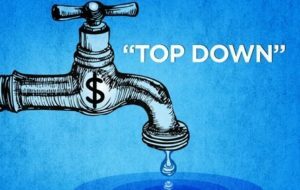 A bottom-up performance audit will uncover many more errors that will not be found when checking top-down. Once these mistakes are corrected, the advisor will have more confidence in the performance reports being delivered to clients because their data will have been scrubbed at the lowest possible level. While most advisors do not spend much time thinking about cash flows in their performance calculations, they can have a material impact when there’s a major move in the market. It shouldn’t matter which method is chosen—most of the time. But it is important to stay consistent once you select a preferred method. You earn your fees on the performance you deliver—successful advisors and asset managers understand this. Performance errors and restatements undermine the confidence that investors have in your firm and lead them to question the value of the fees they are paying. They’re also an easy way for a manager to be blacklisted by institutional investors. That’s why consistency and accuracy in the results you report is essential for the future viability of your firm. You can start to improve and ensure the accuracy of your performance calculations by focusing on these four areas. Look for ways into automate manual inputs and introduce robust validation procedures into your processes. These up-front investments will help put your firm on stronger footing when presenting performance results to current and prospective clients.